It’s all about the yen on today’s canvas, as we play around with forex trading setups on EUR/JPY and NZD/JPY. Check it! 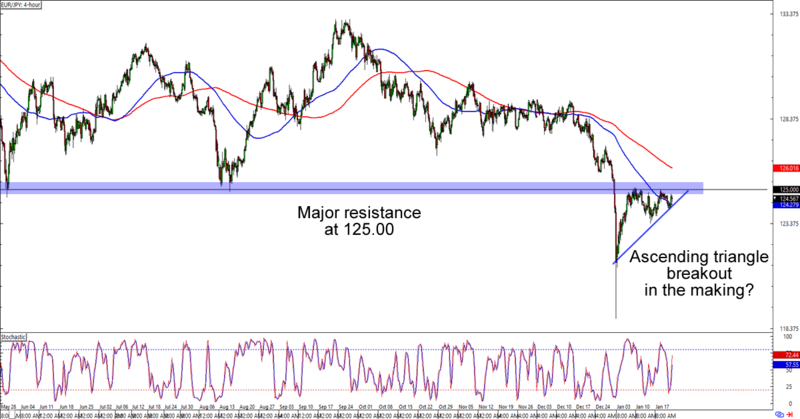 EUR/JPY is about to hit the 125.00 major psychological handle, which has been serving as support and resistance for the pair since mid-2018. This time around, a break above the level would also translate to an ascending triangle breakout that could take the pair all the way to the 129.00 area of interest. Will the bears defend 125.00 for another day and force more euro weakness? Or will the bulls gain enough momentum to break above the 125.00 handle AND the 200 SMA hanging just above the level? Watch this one closely to see which way the euro would go in the next couple of trading sessions! Trend warriors huddle up! NZD/JPY is fast approaching the 75.00 major psychological area, which marks a retest of the falling trend line that has been keeping the Kiwi in check in July 2018. Not only that, but it’s also right around the 100 and 200 SMA on the daily time frame! The pair hasn’t reached 75.00 just yet, so y’all still have time to whip up your trading plans before you trade this one. 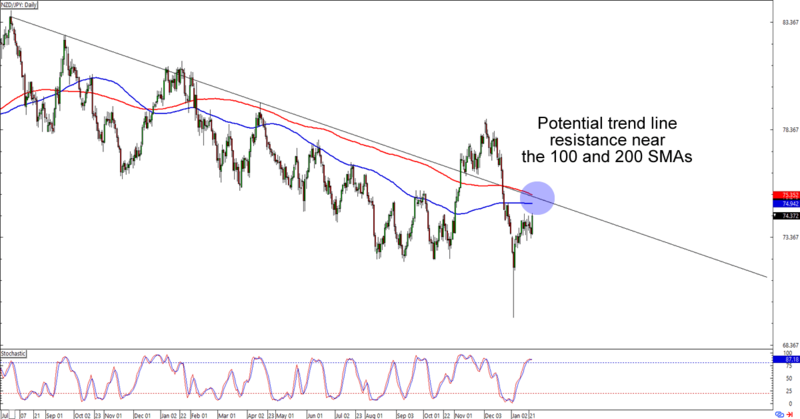 Shorting the Kiwi at the earliest signs of a bounce around the trend line and aiming for its previous lows near 72.50 could get you a good reward-to-risk ratio. If you’re not feelin’ the love for the yen, however, then you could also wait for NZD/JPY to break above the trend line and trade an upside breakout instead. Just remember that currency crosses like these tend to see higher volatility than the dollar majors, so make sure you use wide stops in your trades!